lem for qubit system without using entanglement. there exists a solution to the problem. 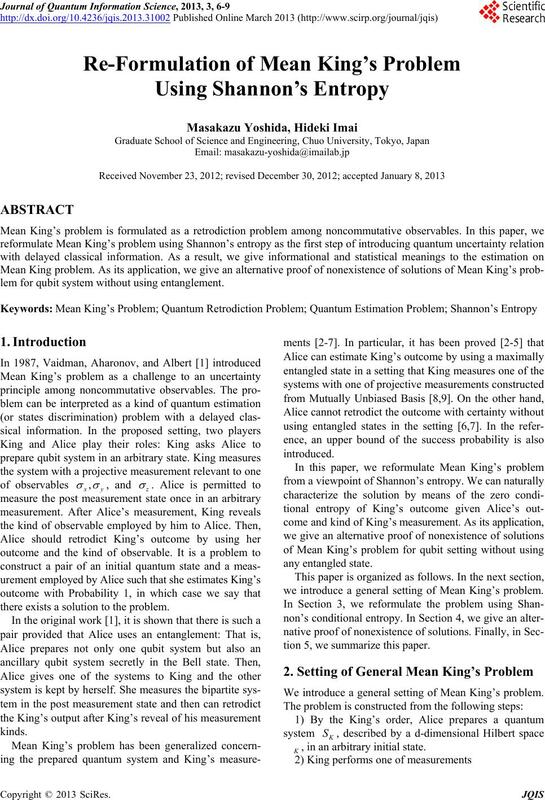 we introduce a general setting of Mean King’s problem. tion 5, we summarize this paper. , in an arbitrary initial state. post measurement state and obtains an outcome . Shannon’s cond itional entro py. 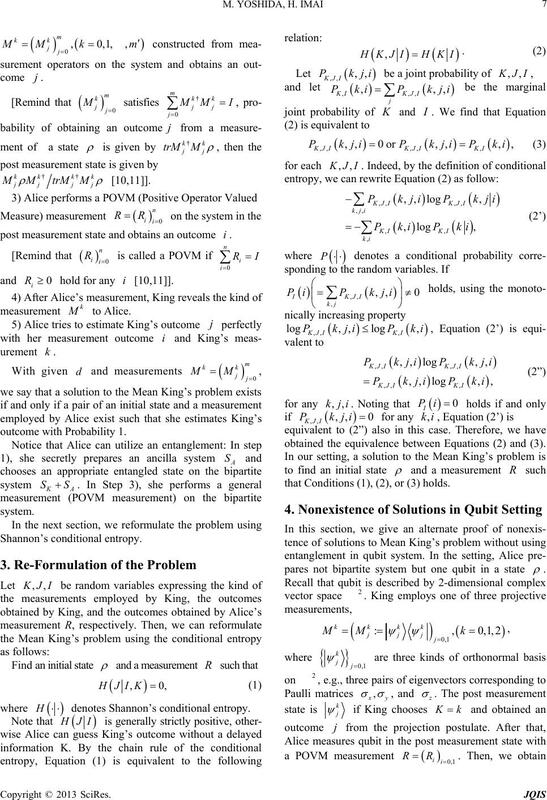 H denotes Shannon’s cond itional entropy. obtained the equivalence between Equations (2) and (3). the above 8 kinds of the probabilities. Figure 1. 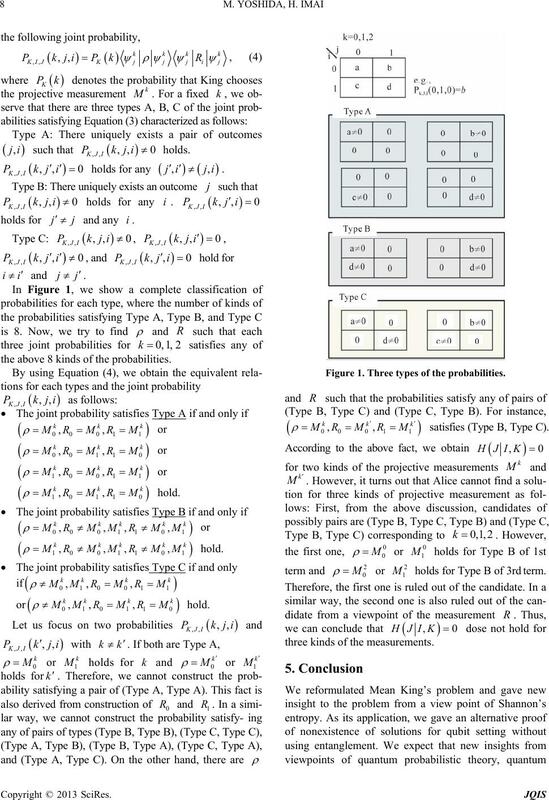 Three types of the probabilities. s atisfies (Type B, Type C). holds for Type B of 3rd term. three kinds of the measurements. problem by using the reformulation given in this paper. 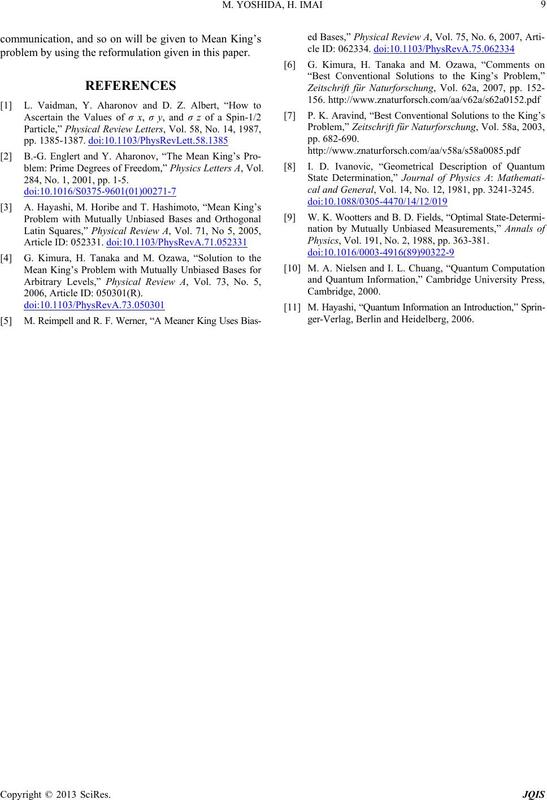 blem: Prime Degrees of Freedom,” Physics Letters A, Vol. 284, No. 1, 2001, pp. 1-5.
cal and General, Vol. 14, No. 12, 1981, pp. 3241-3245. Physics, Vol. 191, No. 2, 1988, pp. 363-381.
ger-Verlag, Berlin and Heidelberg, 2006.